For dozens of artists, creative thinkers, and scientific researchers, Grand Arts provided funding, technical expertise, equipment and housing. And time – lots of it. Often projects took one or two years, and sometimes as many as five. Switzer and the five other staff members have spent the last two years going through their archives. A book, scheduled for publication in early 2016, documents thirty projects considered the most complicated, challenging, provocative and interesting. “The thing that I always used to say – it’s still true – is that my favorite project has always been the one that I’m working on now,” she says. 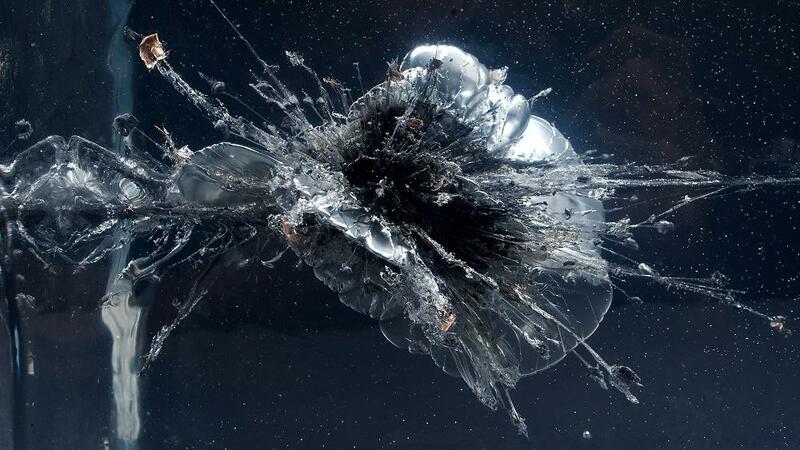 The Propeller Group's project presented significant technical challenges as the team attempted to collide two bullets, one from an AK-47 and the other from an M16. "We weren't even sure we would be able to realize the show ... before Grand Arts closed," Switzer says. "But we decided to make a go of it and try." They're still researching how the work, inside a clear gel block, can be preserved beyond the exhibition. 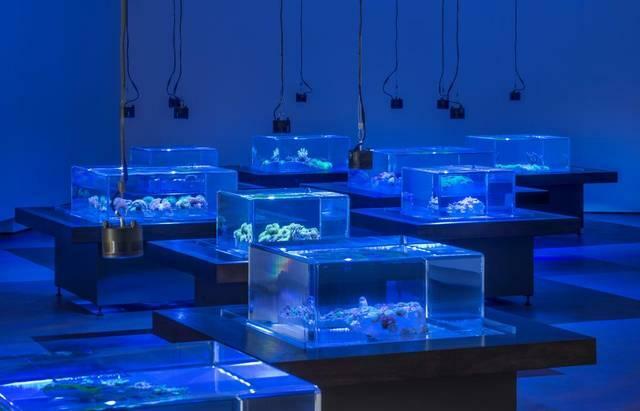 In Glenn Kaino's 'Tank,' species of coral engaged in a battle for survival. Taking inspiration from Silva and her “visionary support of risky projects,” Switzer plans to continue her work with artists such as The Propeller Group, Glenn Kaino, and Sissel Tolaas through a new initiative called Fathomers, a private philanthropic research institute. It's scheduled to launch on January 1, 2016. “The emphasis is on collaborations with thinkers in all different fields, but in particular, science and technology,” she says. Plans call for teaming up with artists, arts organizations and universities on long-term projects. And, she says, a few of the Grand Arts staffers will be joining her. The Propeller Group "A Universe of Collisions" at Grand Arts, 1819 Grand Boulevard, Kansas City, Missouri, closes on Friday, with a reception from 6 p.m. to 9 p.m.
First Friday in Kansas City's Crossroads neighborhood is always a street party. 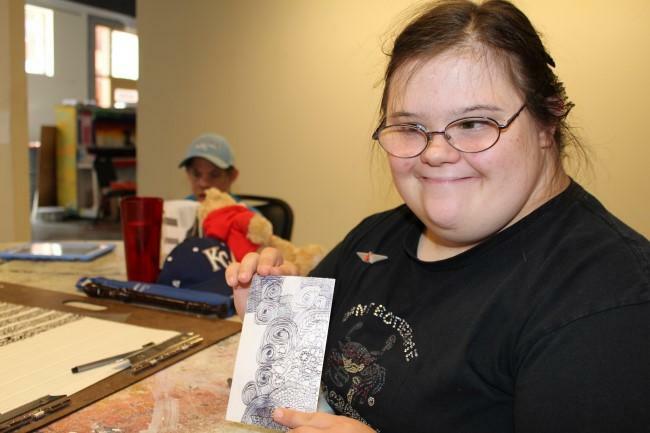 But on the first Friday in August, the third annual Southwest x Central Street Fest spotlights artists who don't typically get as much exposure as others: the musicians, writers and artists of Imagine That!, a non-profit studio of artists with developmental and intellectual disabilities. In downtown Kansas City, Mo., the stretch along 18th Street between the Crossroads Arts District and the 18th and Vine Jazz District is roughly a little over a mile — but this span includes 52.5 acres of paved surface lots. That's more than at Arrowhead Stadium and Kauffman Stadium combined.